A pilot study conducted by HEARD researchers on the hidden cost of disability in South Africa has been named in UNICEF’S Best Research report for 2016. UNICEF, or the United Nations Children’s Emergency Fund is a United Nations programme which provides humanitarian assistance and development to mothers and children in the developing world. HEARD in partnership with the South African Department of Social Development, the National Development Agency, the UN Partnership to Promote the Rights of Persons with Disabilities (CRPD) and the South African Social Security Agency conducted the study to investigate the costs of disability to households and explores the economic impact of disability on households, a field in which is relatively unexplored in South Africa today. 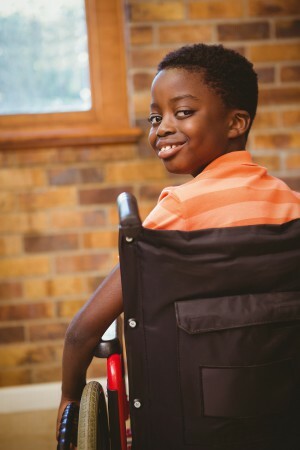 Working within the broader themes of HEARD’s efforts towards advancing health equity in Africa, the study provides a magnified outlook into our country’s health landscape, one which should consider the disabled. Taking into consideration the CRPD an international treaty aimed at protecting the rights of persons with disabilities worldwide, the study explored the extent to which the government of a middle-income country such as ours would be able to provide proper care and resources to those living with disabilities and their families. Results reveal that the concept of a more ‘disability-inclusive development’ was essential to equity. This would necessitate the inclusion of the disabled into all systems of society, which would not only advance the position of the disabled person in society, but also allow for PLWD to make greater contributions to overall development. While the study’s primary focus was on the cost impact for people living with disabilities and their families, what emerged was that cost also had a social burden on the disabled as they often are not properly assimilated into society. More than just examining costs to institutions, the study explored how economically vulnerable households with disabled people were, and how this would impede larger societal developmental goals. The study considered factors such as opportunity and out-of-pocket costs and different types and degrees of disability. The study found that a lesser financial burden on the disabled and their families/carers would advance the lives of the disabled significantly. A very significant factor examined in the study was that spending varies depending on disability type, the level of support needed and the economic status of the family. Other costs, such as transport, caregiver assistance, communication devices and maintenance of assistive devices emerged as major drivers of out-of-pocket costs. These expenses could be detrimental to those in low-income households or those dependent on social grants. The study provided recommendations such as legislative reform, better allocation of resources and the development of a broader understanding of the economic vulnerability the disabled faced to address the problem of assimilation. Other key suggestions include; access to inclusive education, caregiver support, affordable assistive devices, sustainable employment for the disabled, better coordination of health services and the inclusion of the disabled in the design process of housing and transport systems. Research partnerships such as this one conducted with government and developmental institutions lead the way for reform and better health and social services for those living with disabilities. This promotes a more aware, rights-based and inclusive social system which has the potential to provide equity through health care. Study: Can a Broad Economic Empowerment and Gender Transformative Intervention Reduce Gender­based Violence and HIV­Risk?